The Manufacturing industry in Spokane County was hit hard during the nation-wide recession. 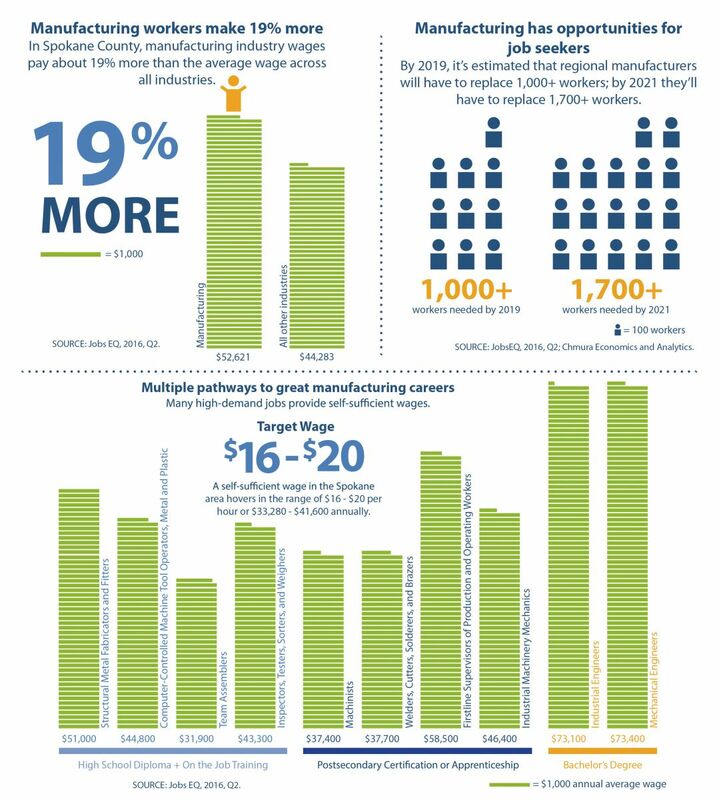 The sector has rebounded slightly with steady year-over-year job growth in the region, in part led by the Aerospace Manufacturing subsector, which now has more than 120 manufacturers, suppliers, distributors and related organizations located throughout the Spokane region. Spokane has a unique mix of factors giving it a competitive advantage in the Manufacturing sector – Low cost for utilities, low cost for land, a well-established school-to-work talent pipeline, and an easily accessible multimodal transportation network of air, rail, and road. The Spokane region is also strong in the manufacturing of medical equipment, wood and paper products, and metals. 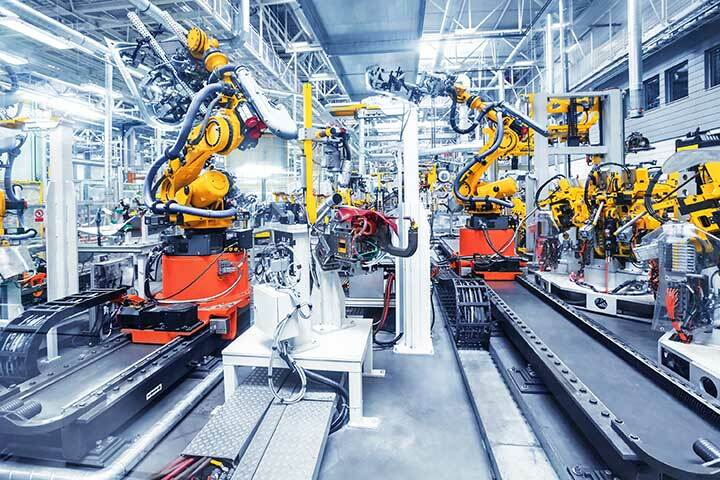 The manufacturing industry faces numerous challenges in creating new job growth, from technology and automation reducing the number of workers needed, to international demand and low cost competition. However, many of those who are currently employed in the manufacturing industry are older in age, and developing a pool of talented workers to fulfill the expected replacement demand will be vital in keeping the industry strong.